Tanya joined Whitelaw Twining as a paralegal in 2009. She works in the area of general insurance with a focus on personal injury. She is also part of the Plaintiff personal injury team and has experience with subrogation and property damage claims. Tanya collects, organizes and analyzes the evidence that each case needs to get the best and quickest outcomes for her clients. In addition, she supports our lawyers by drafting pleadings, reviewing and producing crucial documents, conducting legal research and keeping clients up to date on their files. 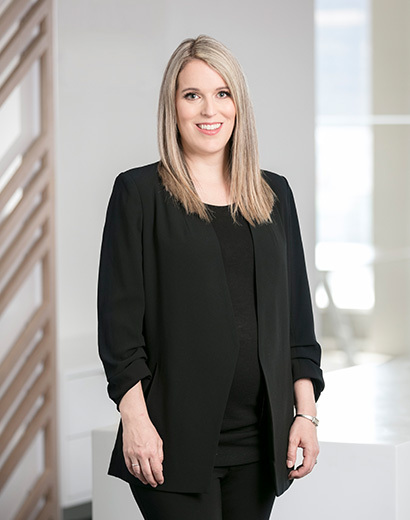 Before coming to our firm, Tanya spent five years in Grand Cayman working as a paralegal, primarily in the areas of debt collection and mortgage enforcement. During this time, Tanya had the opportunity to explore a beautiful part of the world and build her legal knowledge and expertise. Tanya’s time outside of the office is spent with her young family. In her downtime, she plays soccer recreationally and enjoys travelling as much as she can.